What are the pros & cons of metal roofs? Many people contact us at David Bange Roofing in South Florida, and ask us what are the benefits and what are the drawbacks of steel and other metal roofs? This article will give you what are the pros and cons of metal roofs so you can make an informed choice about whether or not to choose metal roofing for your home. If you are considering metal roofing for your home, it’s very important to weigh the pros and cons of metal against other more common roofing materials, such as tile (the most common for nicer homes), wood and asphalt. We will take a closer look at some of the benefits and drawbacks of steel, aluminum, and other metal roofing. Weight. Compared to the weight of tile at 750 pounds per square or concrete tile at 900 pounds per square, metal roofing is very lightweight. Most varieties of metal roofing run from 50 to 150 pounds per square. Expected Roof Life. When properly installed, a metal roof should last as long as the house. It should seal out water, surviving high winds, and easily shed snow. Metal is resistant to fire, mildew, insects, and rot. Fire Resistance. Because metal roof materials are noncombustible, they typically have a Class A fire rating, which is the most fire-resistant rating. Speed & Ease of Installation. Most metal roofing materials come in multiple-shingle sections or in 12- to 36-inch-wide panels. An accomplished contractor can install them quickly. Obviously, there is considerable labor savings if you can ease and shorten the duration of roof installation. Heat Conduction. Metal reflects radiant heat from the sun, minimizing the middle of the day heat gain. This means you save energy needed for air conditioning during the day. Minimal Roof Pitch. Most metal roofing materials can be installed on gently pitched roofs without leaking. Maximum Shedding of Rain & Snow. Metal roofing is practically impervious to rain and snow because of the way the panels interlock and because the surfaces are hard and slippery. In addition, the darker tones of metal roofing quickly warm in the snow, encouraging snow to melt faster. Though metal roofing offers many pros, a few cons are worthy of mention. 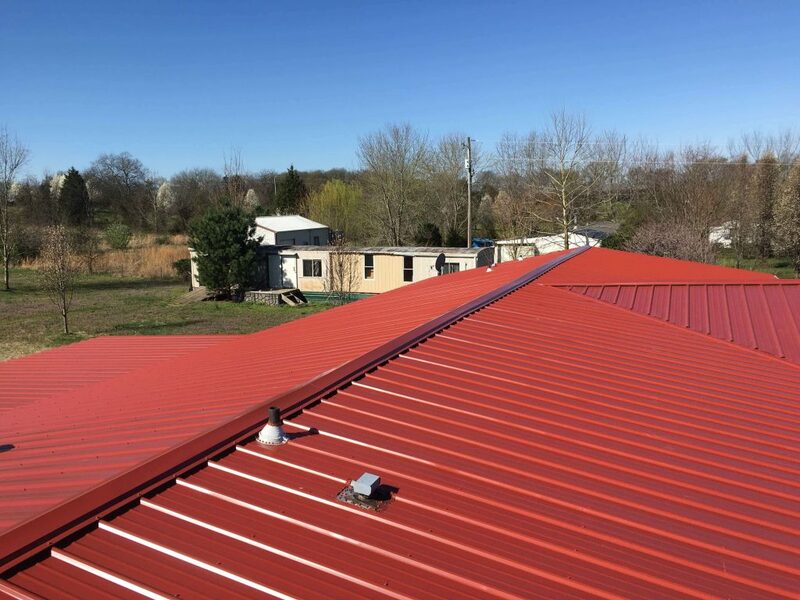 For the most part, metal roofing manufacturers have improved their products to address or solve many of these concerns, which is the good news. Cost. The biggest drawback of metal roofing is the initial cost. Metal roofing is equivalent in cost to other premium materials—from about $150 to $600. Because of the material’s long-term durability, the trick is that you ultimately save the difference (and more) if you stay in the house for a long time and, of course, you save on seasonal maintenance. Then again, if you plan to move in a couple of years, you probably won’t get the return on your investment. Denting. Just as your car will dent, a metal roof can dent if large hailstones fall on it. Aluminum and copper, which are much softer than steel, are more prone to denting. Some types are guaranteed not to dent, however. It is best to seek those out. Noise. For some, the sound of rain tapping on the roof is romantic and homey. For others, it’s like living inside a drum. In a rainstorm or hailstorm, living beneath thin sheets of metal is bound to be noisier than living beneath thick slate or tile. Noise can be controlled both by using materials that have structural barriers to minimize the drumming effect and by applying them over sound-deadening insulation and solid plywood sheathing. Leaking. It is very important that a metal roof must be installed correctly. Roofs with exposed fasteners are particularly vulnerable to improper installation. If screws attach through the flat surfaces (rather than the raised ridges), rain water can run down the roof and seep into the screw holes. Special resilient washers must seal around screw heads. If you install this type of roof, be sure manufacturer’s instructions are followed precisely. Expansion & Contraction. Metal expands and contracts as it warms and cools. Most new products have fastening systems that accommodate movement. Otherwise, fasteners that secure the roofing may tend to come loose. Expansion and contraction on hot days can cause a wavy affect. Lightning. Many assume that because metal conducts electricity, it also attracts it. This really isn’t the case, and many instances have been documented where lightning has struck trees or other high objects located near metal roofs rather than the roofs themselves. Just the same, metal roofs can be easily grounded by a lightning protection company. David Bange Roofing can install every type of roof that you may want to top you home. If you do the research, you can look into the pros and cons of metal roofs, tile roofs and even shingles, which may be the most unpopular choice, but easily is the cheapest. 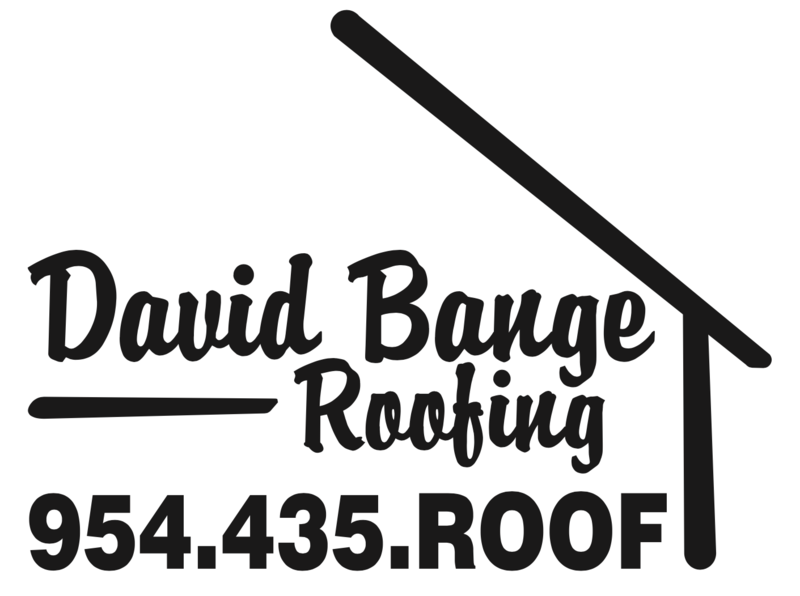 Contact David Bange Roofing now to get estimates on how we can service you and make your roof the best and most efficient roof on the block.